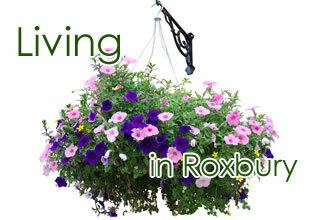 The Town of Roxbury has decided to conduct a reassessment project. This decision was brought about by the Assessor’s Office and the Town Board in an effort to achieve equitable assessments with the town, pursuant to NYS Real Property Tax Law Section 305. The reassessment project will consist of many steps beginning with the collection and verification of property inventory and progressing to the use of systemic analysis to achieve a uniform percentage of value for every property in the town beginning with the 2015 assessment roll. The Assessor’s Office and the Town Board are committed to providing comprehensive public information in an effort to promote public understanding of assessments and the reassessment process. As part of this effort, there will be Informational Meetings held at regular intervals during the process. They will be advertised on the Town Hall Bulletin Board, in the newspaper of record and on the town’s website. All property owners are encouraged to attend these meetings to gain further understanding of the importance of this project, the steps involved and the roles of the assessor’s office, as well as those of property owners. This page is for information related to the Data Verification Project, as the first of many steps toward the ultimate goal of a 2015 town-wide revaluation. In order to ensure all property in the Town of Roxbury is valued at current and correct market values and that the information on file is accurate and up to date, the Assessor’s Office is conducting a town-wide data verification project. The project’s mission is to verify that the information collected in prior years for each parcel is accurate and up to date for the purpose of revaluing the entire town. The photos are solely for the purpose of general property identification and the structures on it. In cases where out-buildings are set away from the residential structure, more than one photo may be necessary. Q. When will I see the results of the data collection? All collected data is scheduled to be distributed to all property owners during the summer of 2014 using a Property Description Report. This form will list the major characteristics of the property. If the data are correct, the owner just has to sign it and return it to the office. If there are discrepancies, the owner will need to circle the discrepancies and write in the correct data, sign it and return it to the assessor’s office for possible field review/confirmation. During the fall and winter of 2014-2015, the assessor will be creating land tables and a manual valuation model to use during the valuation phase of the project. The sales that will be used in the models will also have to be reviewed. Before March 1st, 2015, each property owner will receive what is called an “Impact Notice”. This will show the prior assessment, the proposed new assessment as well as how that new assessment would have impacted the owner’s prior years’ taxes. The assessor will hold five or six weeks of informal meetings in March and April with property owners after the impact notices are mailed, so owners can review their new assessment and see how it was determined. If an owner is still dissatisfied with their new property assessment, they can still file a formal complaint in May and appear before the Board of Assessment Review to argue their case for a lower assessment.